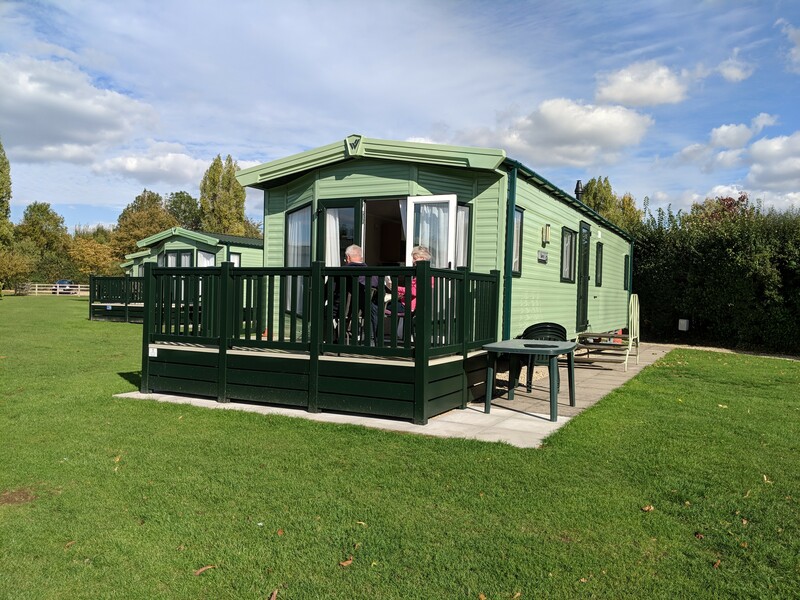 The Ranch has four luxury Holiday Homes available for hire, The Broadway, The Evesham, The Vale and Stratford, which are located close to the facilities on-site. These Holiday Homes are double glazed and centrally heated for additional comfort. Each Holiday Home has a fully equipped kitchen with a cooker, fridge-freezer and microwave. 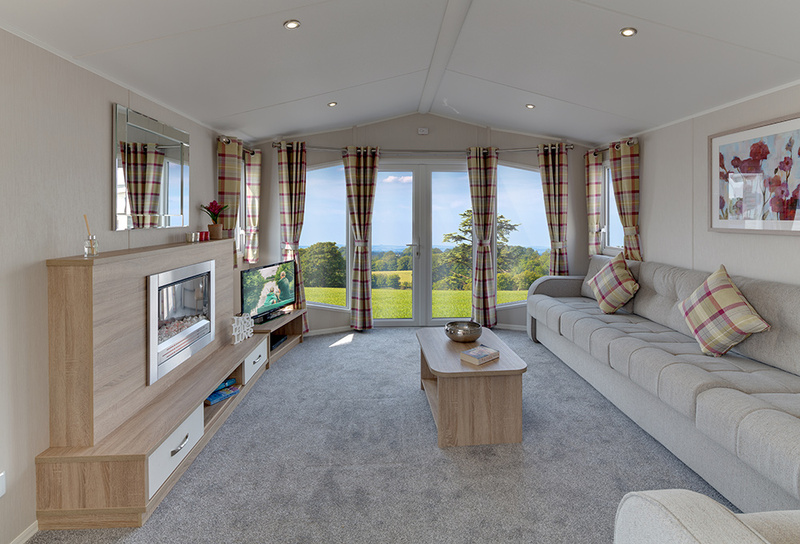 The Broadway, The Evesham and The Vale each have a double bedroom, a twin bedroom and a sofa bed in the lounge making the caravans 6 berth. 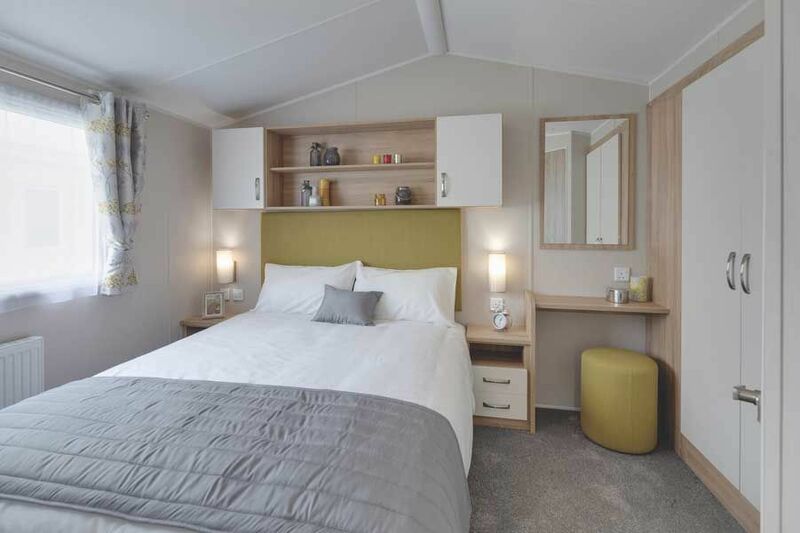 These comfortable Holiday Homes have a bathroom with shower, toilet and basin, and also the master bedroom benefits from an en-suite toilet room. The Stratford offers a third bedroom with two single beds. It features a bathroom with shower, toilet and basin, plus an additional separate toilet. The Broadway, The Evesham, The Vale and The Stratford also have outlook doors that open onto their own balconies. Each Holiday Home has a T.V. in the lounge and main bedroom, offering Freeview and 4 satellite channels and DVD player. Smoking is not permitted inside our Holiday Homes. The Holiday Homes are equipped with most household items including bed linen, duvets and blankets. Guests must however bring their own towels and tea towels. The Homes may be occupied between 3.00pm and 6.00pm on the day of arrival, unless alternative times have been previously arranged, and vacated before 10.00am on the day of departure. Maximum of 6 people per holiday home. A discount of 10% will be allowed off the price of the second week on all two week bookings for 2019. You may bring 1 dog - charge £30.00 per week (permitted only in The Vale). Bookings are accepted on receipt of £100.00 deposit (Non refundable) per week when booked. The balance must be paid 28 days before arrival date. Charges are inclusive of Club Membership Fee in respect of the Club on the Park and use of the Swimming pool when open. A gym and sauna are available at additional cost. Please note: Some facilities are restricted outside high season. Swimming Pool is available Spring Bank Holiday to August Bank Holiday weather permitting. Children must be properly supervised at all times. Unaccompanied minors will not be accepted. Hire charges include gas, electricity and VAT. The company reserves the right to refuse any booking or terminate stay in the interest of other residents or guests. If you are not happy about the service you receive from us please contact our manager and we will try to resolve your concerns.